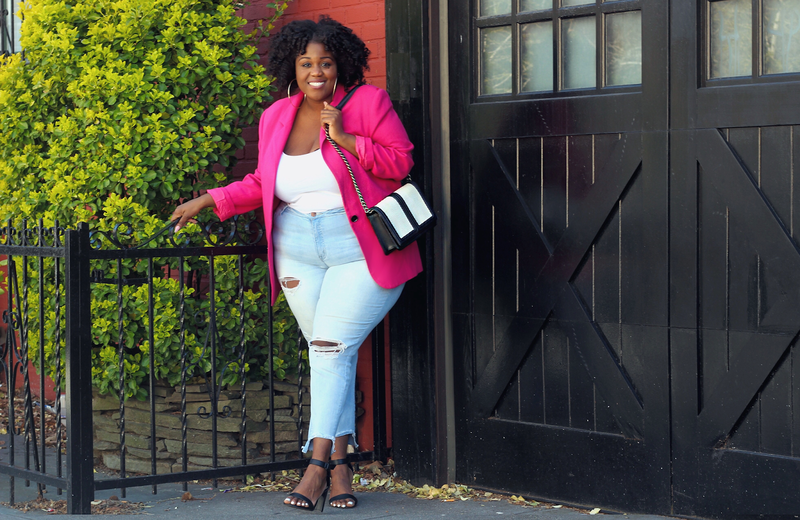 My Favorite Plus Size & Curvy Jeans! I get tons of questions about where do I purchase my jeans, so in this post I'm going to share my favorite styles with you all. I love a good high waisted jeans. Especially ripped distressed jeans. I always feel super chic and edgy when I wear them. My favorite ways to wear them is with a duster, a blazer, a kimono, and with a loose t-shirt paired with a jacket. Here a few of my favorite pair of jeans! I have tried so many different styles and these pants are my favorite. Their jeans are super flattering, very stretchy, and affordable. Also they give a illusion of a flat stomach when worn high waisted due to their design and cut which I love. I hope you ladies check out my favorite picks!! Going to try a pair! Thank you! I completely agree with you! I had when I get it wrong and I have a fupa situation going on lol. Thanks for the tips!